Guar Gum Powder is widely been used in industries like food, animal feed, textile, pharmaceuticals, personal care and many more industries. Some of the properties include acts as a gelling agent, drought resistant; thickening agent. It also plays a major role in the dairy industry. In dairy industry it is used in making of Ice Cream, soft drinks & concentrates, puddings. There are different factors of guar gum powder used in making of ice cream that also impact on the properties of the ice-cream. 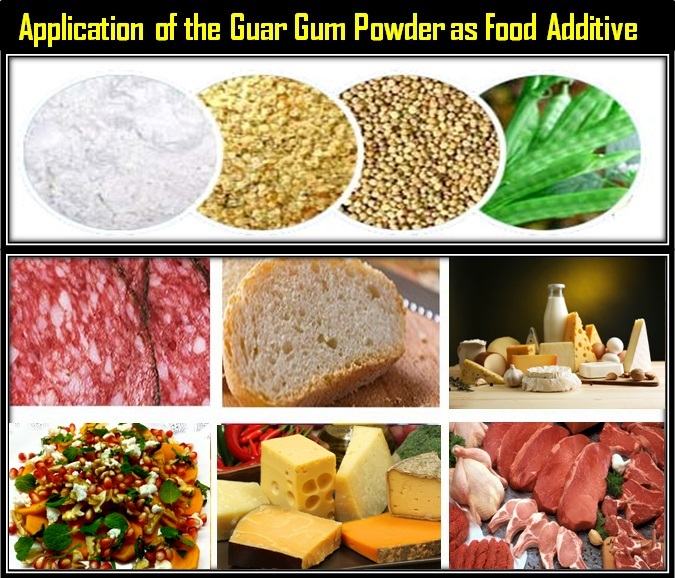 Guar Gum Powder is one of the important gum been used as a stabilizer in making of ice cream at different levels. Studies showed that guar gum can be used at the concentration of 0.2 % producing good quality of ice cream. The main advantage of using guar gum in ice cream industry is its low cost, high viscosity solutions, easy availability, improve air incorporation, air cell distribution and gels at low concentration. Guar Gum Powder used as stabilizer in ice cream adds the functionality like stiffness, slow and uniform meltdown, enhancing whip ability, prevent shrinkage, and maintain body, texture and creaminess. It also helps to reduce the amount of free water in ice cream by binding it “water of hydration”. Research and studies showed that good quality ice cream can be produced by incorporation of 0.2 percent of guar gum. This is how guar gum powder, as a stabilizer is been used in process of industrial ice cream production. There are also other types of stabilizers been used but the most commonly used is the guar gum powder. Considering all the factors required for production of ice cream, Ambagums provides with the high quality guar gum powder for the dairy industry as well as different industries. There are also various other health benefits associated with guar gum powder. Our other products include, Guar Gum Splits, Cassia Gum Powder, Guar Meal, and Fast Hydration Guar Gum. For more information about the products and to know how it been used in different industries contact us today.